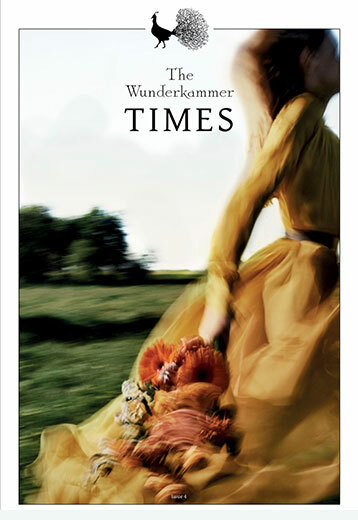 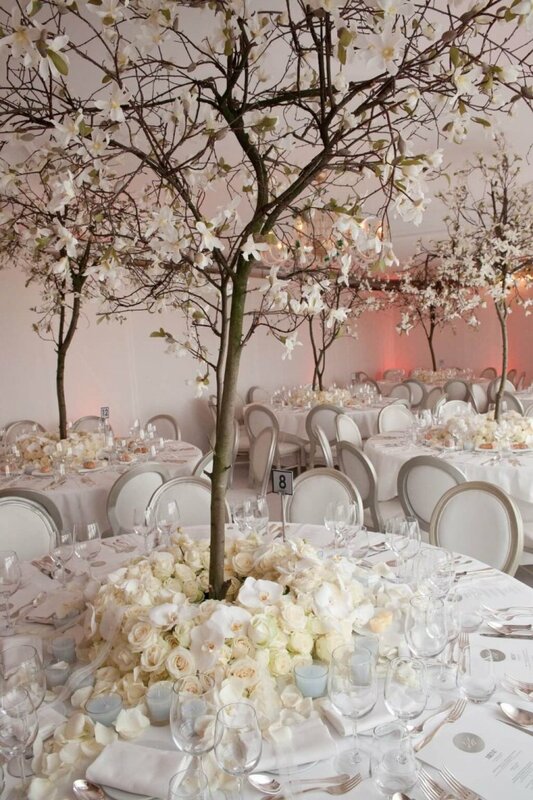 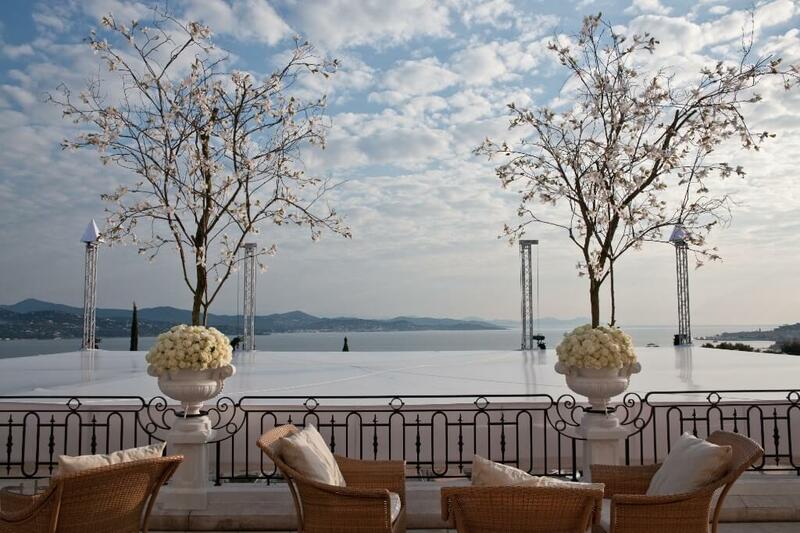 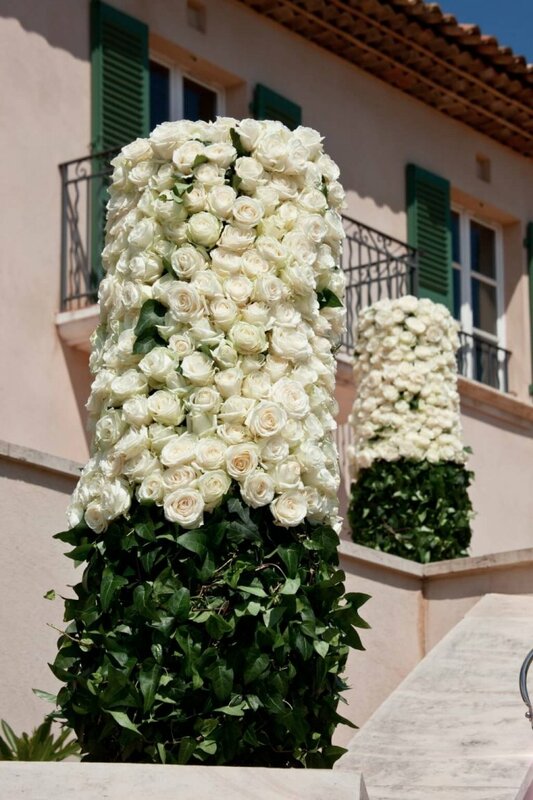 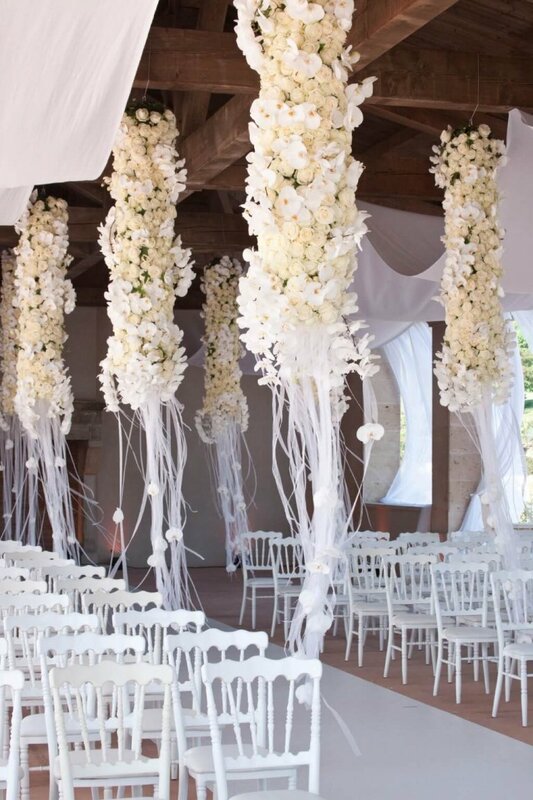 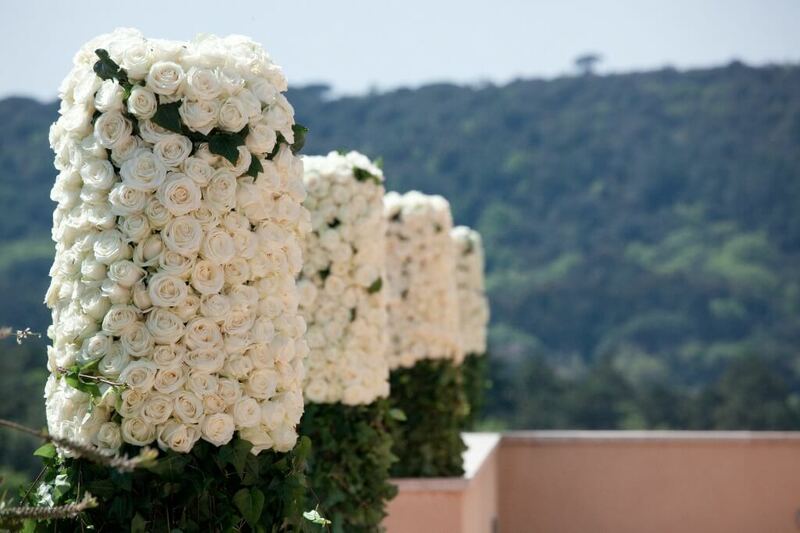 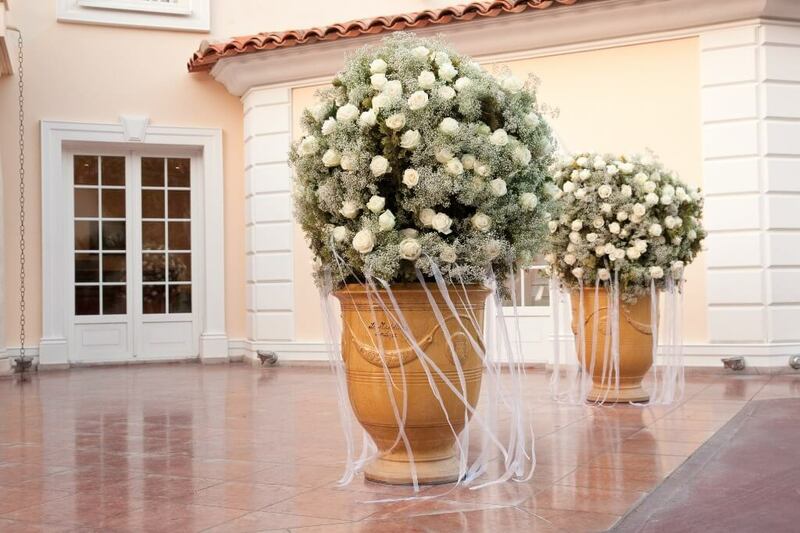 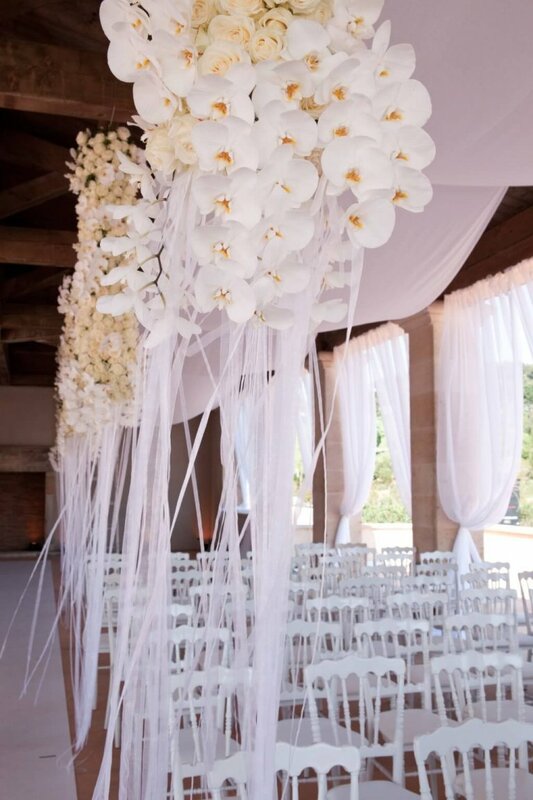 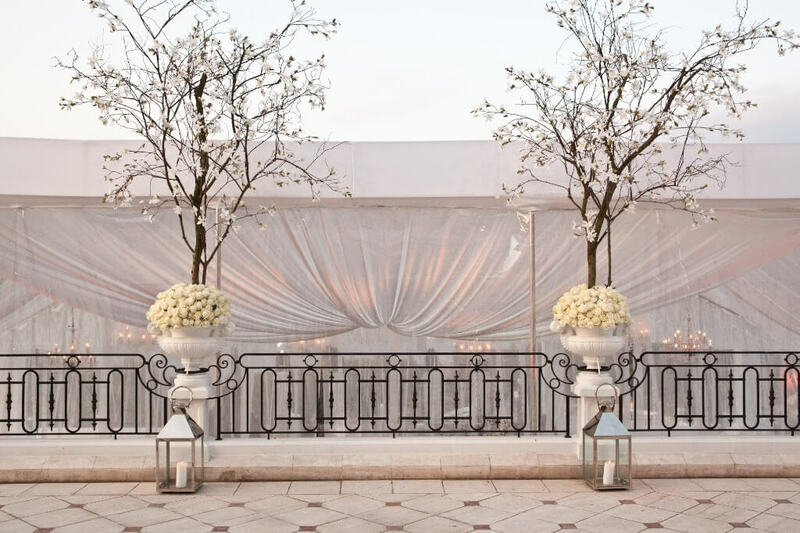 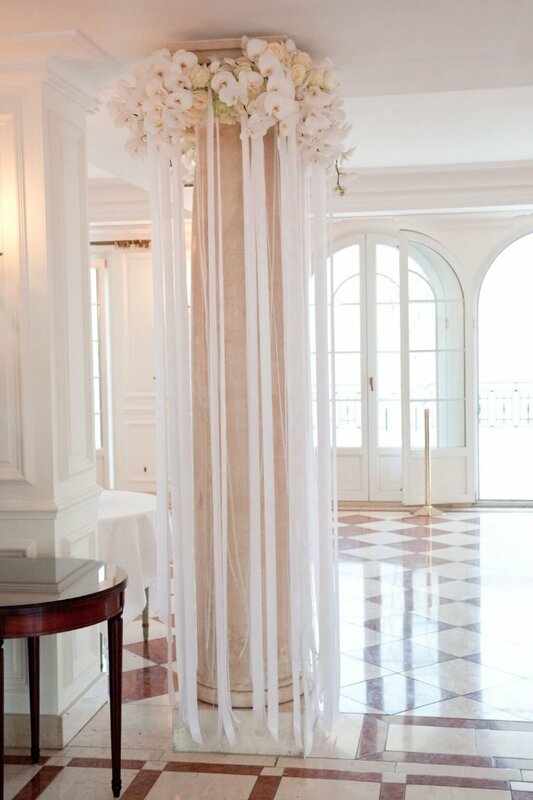 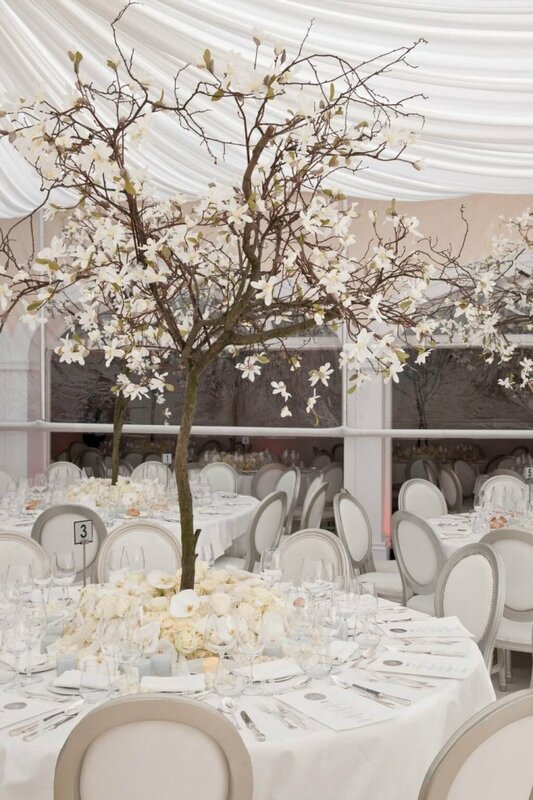 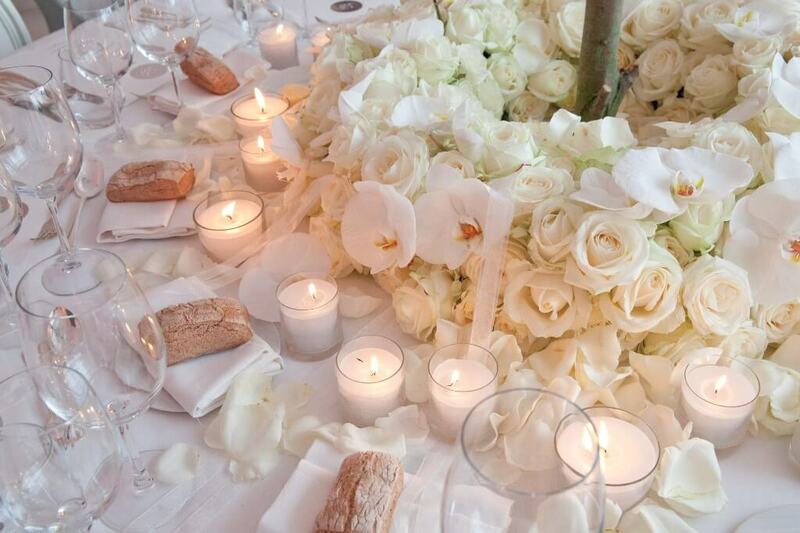 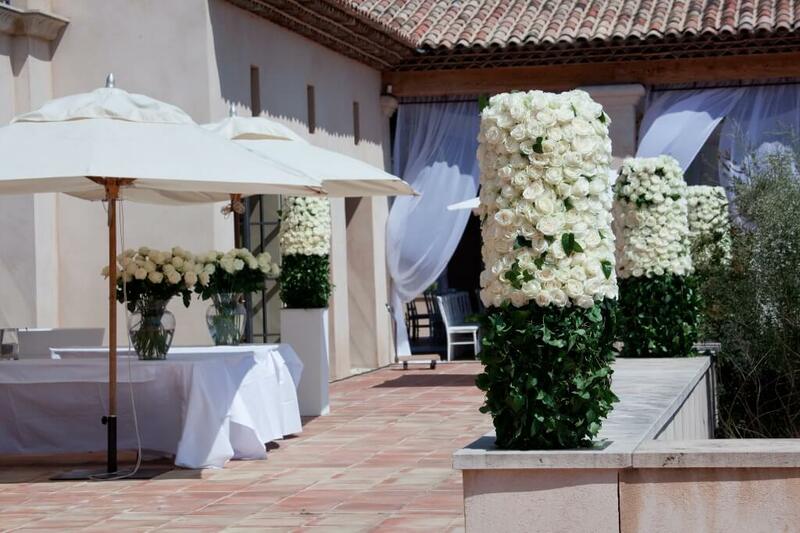 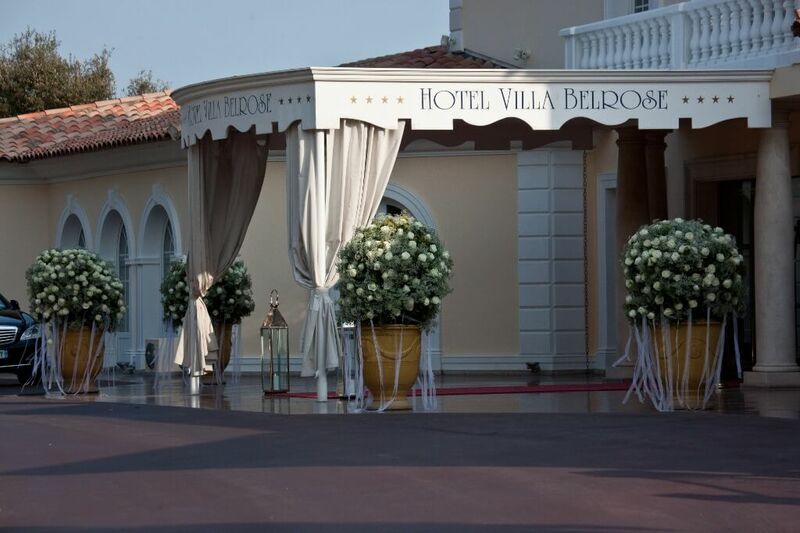 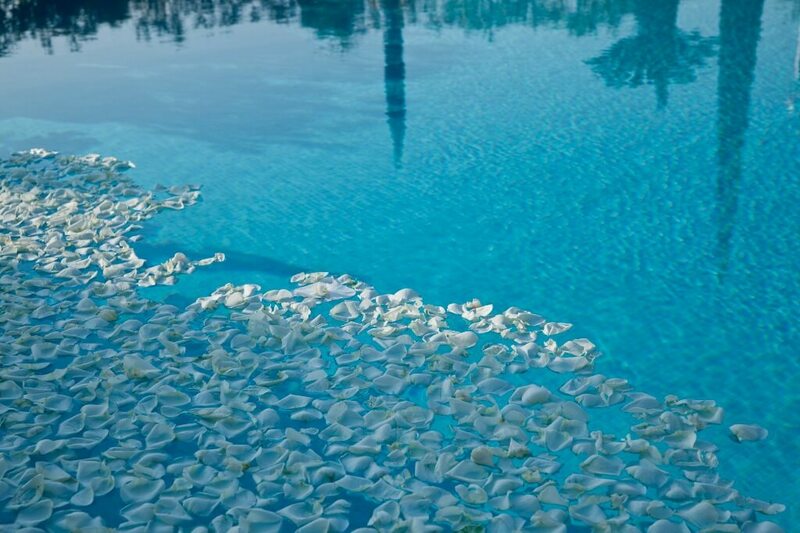 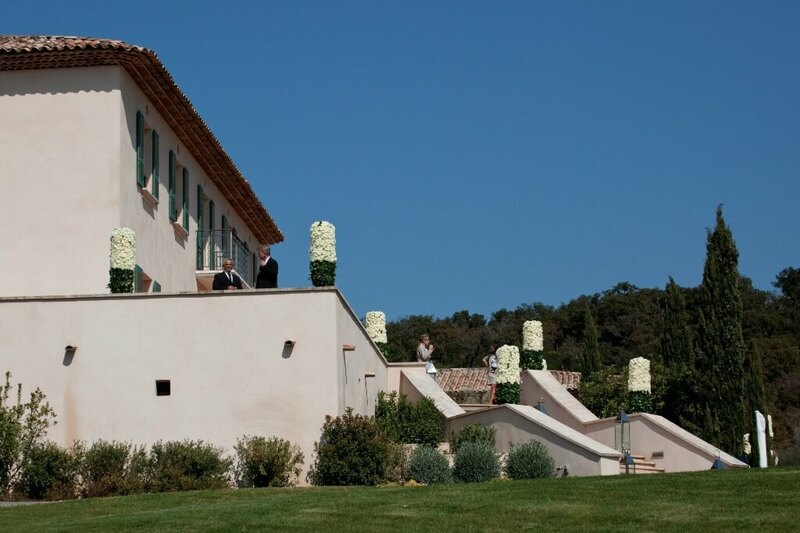 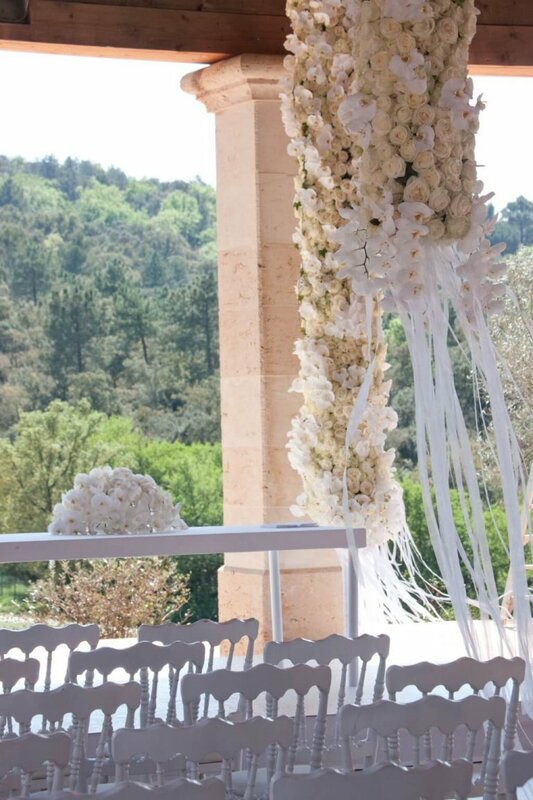 In 2011 Ueli Signer and Florian Seyd were asked to create the floral decorations for a high end wedding in St Tropez. 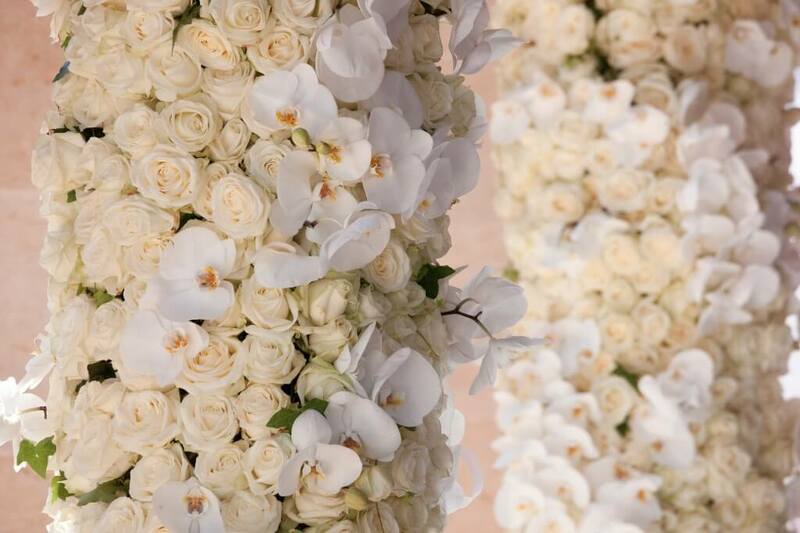 The favorite flowers of the bride are white orchids & roses and the couple requested floral opulence and a fairytale atmosphere for the dinner setting. 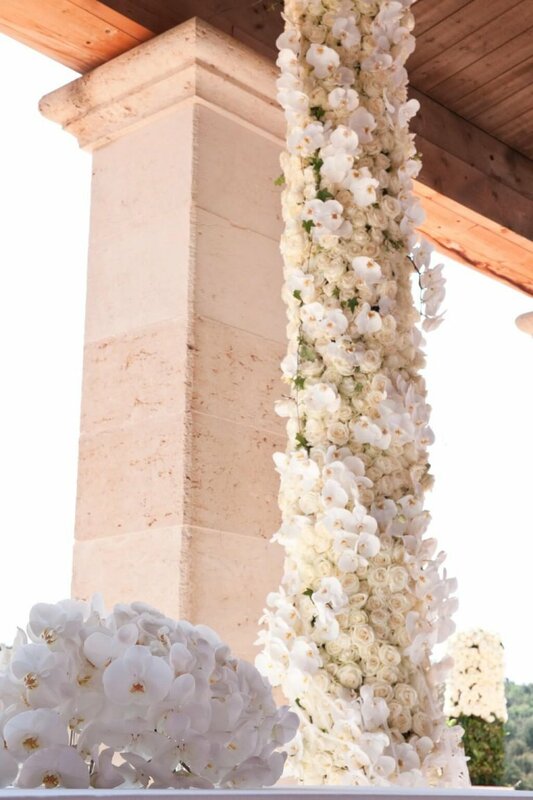 Flowers were also added to the hair of the bride.